Cinnamon, cumin, sumac, and cardamom. One of my attractions to different cultures is their cuisine. Tai, Hispanic, Indian, Chinese, or Italian. I love them all! I thrive on the spices of ethnic foods and am excited when I discover a new one. My newest seasoning of choice is chipotle powder. Chipotle is a smoke-dried jalapeno that has just enough heat and smoke to pack a great punch on everything from eggs and green beans to chicken and fish. Or try a few shakes over popped corn or even corn on the cop. For a quick, healthy snack, sprinkle chipotle powder on a mashed avocado. Add a squeeze of lime juice and a dash of sea salt. Top it off with a bit of fresh cilantro and you have a special snack to enjoy with tortilla chips. Venture out to your grocery store’s spice aisle and be brave! Pick up some chipotle powder or another spice that you haven’t tried before. Purchase the smallest amount possible and experiment. You may find that you are drawn to more vegetables and proteins when you literally spice up your life. Stand too close to me, and you may get Spiralized. My new toy is a Mueller Spiral-Ultra 4-Blade Spiralizer. It was a bargain on Amazon at $28 for the 8 in 1 spiral slicer, pasta maker, juicer, and mandolin. The gadget sure has helped me add more vegetables to my diet. And dinner never has been easier! Cucumbers, zucchini, sweet potatoes, squash, white potatoes, and onions are transformed in minutes from whole vegetables to beautiful streams of deliciousness. Baked, fried, or boiled, everything cooks quickly. Just add a little olive oil and seasoning or a sauce of choice. Firm fruits and vegetables spiralize and slice best. And cooking needs a gentle touch. Boiling the “pasta” is really a brief parboiling or it turns to mush. Baked thin spiralized sweet potatoes with a sprinkle of olive oil and coconut lime seasoning. Spiralized zucchini sauteed in a dash of olive oil with pine nuts, crushed garlic, fresh basil, salt, pepper, and a sprinkle of shredded Parmesan cheese. My only complaint about the Mueller Spiralizer is a lack of instructions with the product. After several nasty cuts from the very sharp blades, I found a good YouTube video on how to use it. I also have since purchased their cookbook which has instructions, guidelines, and some interesting recipes. The print is large enough to see without reading glasses but the few photos are only in black and white. 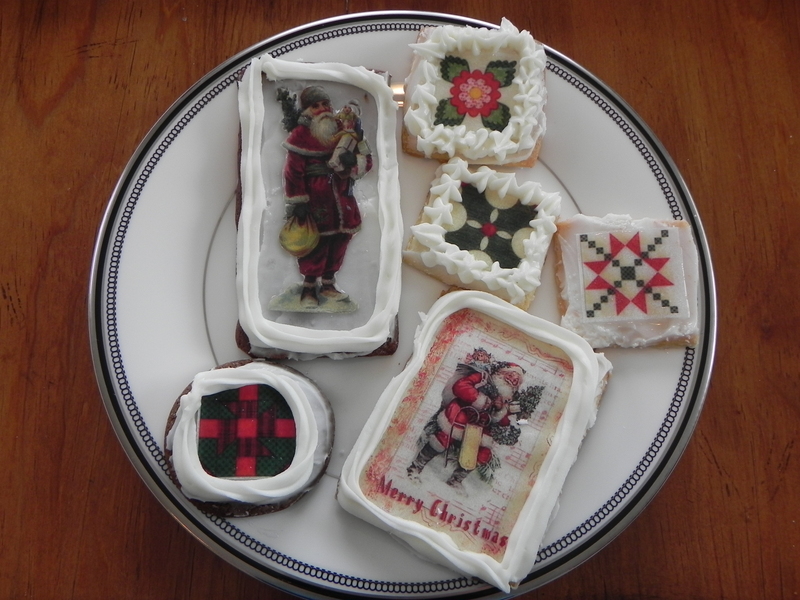 I love a good cookie and enjoy baking but I am not very patient when it comes to decorating. 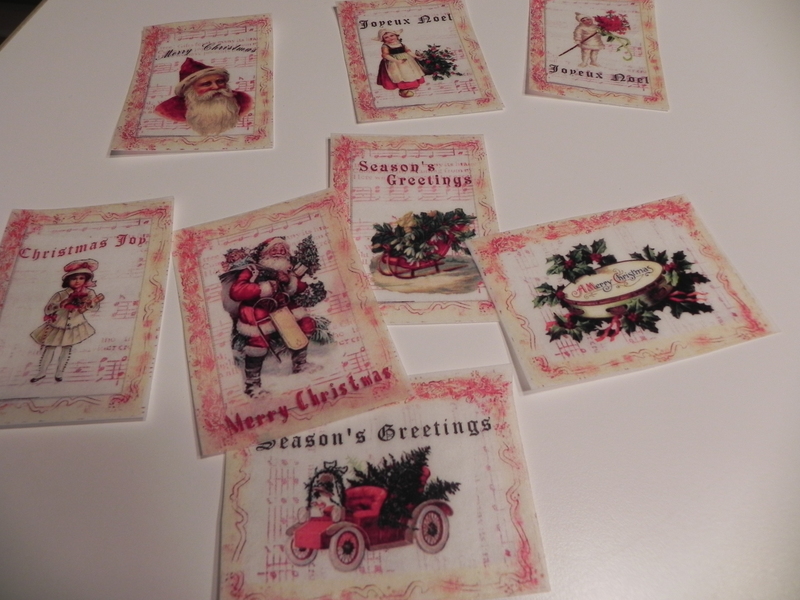 My solution this holiday season was to decorate with edible wafer paper made from potato starch, vegetable oil, and USDA approved food colorings. I wanted to see how easy applying the paper would be to dress up an otherwise plain cookie. I purchased the papers from Fancy Flours, Inc (www.fancyflours.com, 406-587-0118). Their site offers a number of products for baking and decorating as well as excellent recipes for gingerbread and sugar cookies. I chose three of their many different designs. 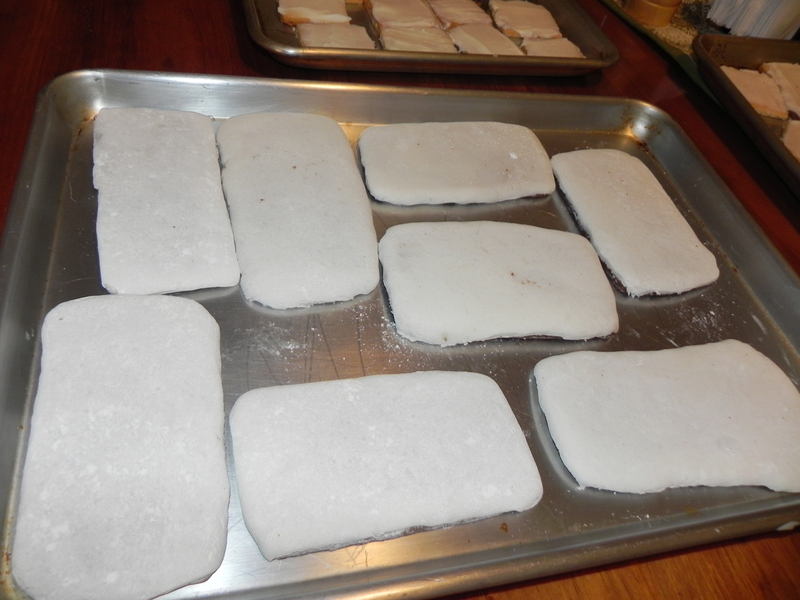 The square and rectangular shaped ones are the easiest to cut out and also the easiest to cut cookie dough to size. Use of the wafer paper requires several steps. The directions are as follows: Make the cookie dough ahead and allow it to stiffen in the refrigerator. Roll out the dough and cut to accommodate the shapes of the paper. When completely cool, frost the cookies with buttercream, royal icing, or fondant. 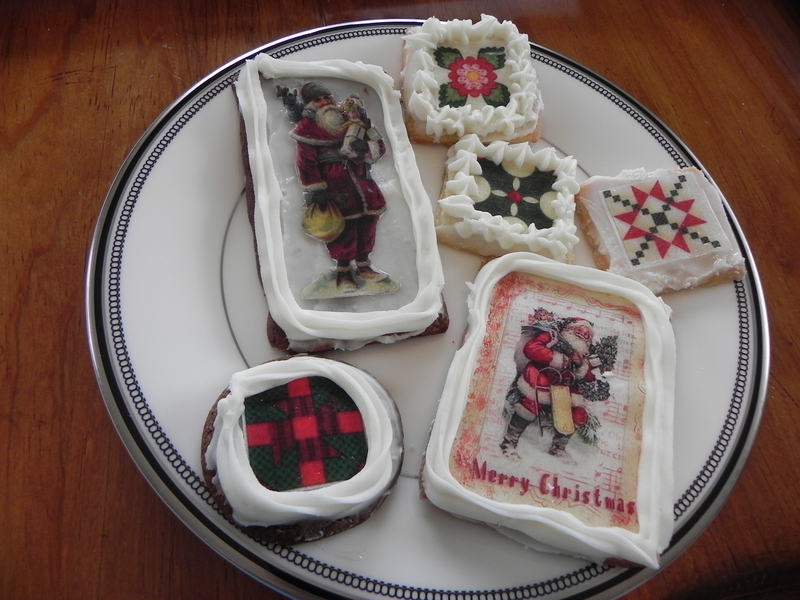 I used fondant on a few of the gingerbread cookies, but I’m not a fan of it. Although it is very smooth, I think it is too thick, too sweet, and not very tasty. The remainder of the cookies I frosted with a mix of confectioners’ sugar and whipping cream. 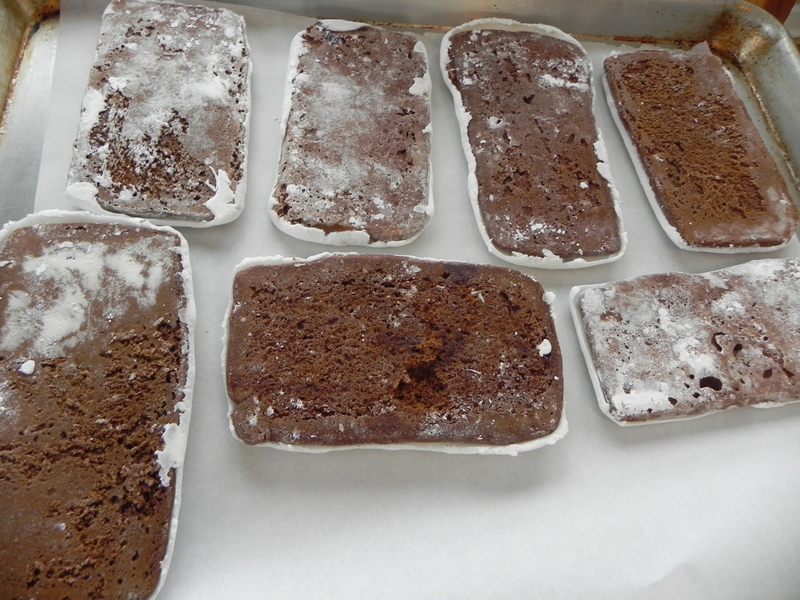 The simple recipe allowed the frosting to remain white and covered the cookies without too much thickness. Once frosted, I froze the cookies until the frosting was completely set. 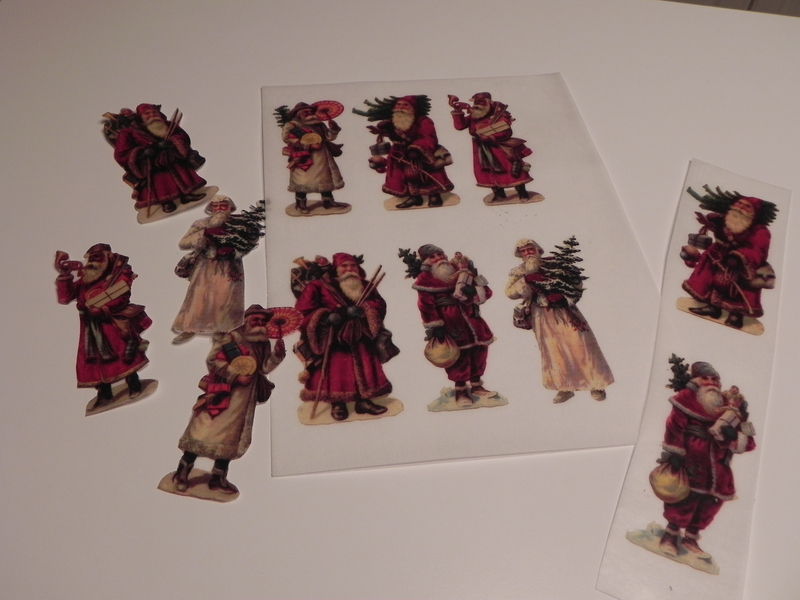 After carefully cutting the wafer paper designs, the directions said to brush a light coat of corn syrup on the back of the papers. I found it easier to dab the corn syrup on the cookie, slide the paper over it, brush the edges, and press down gently. 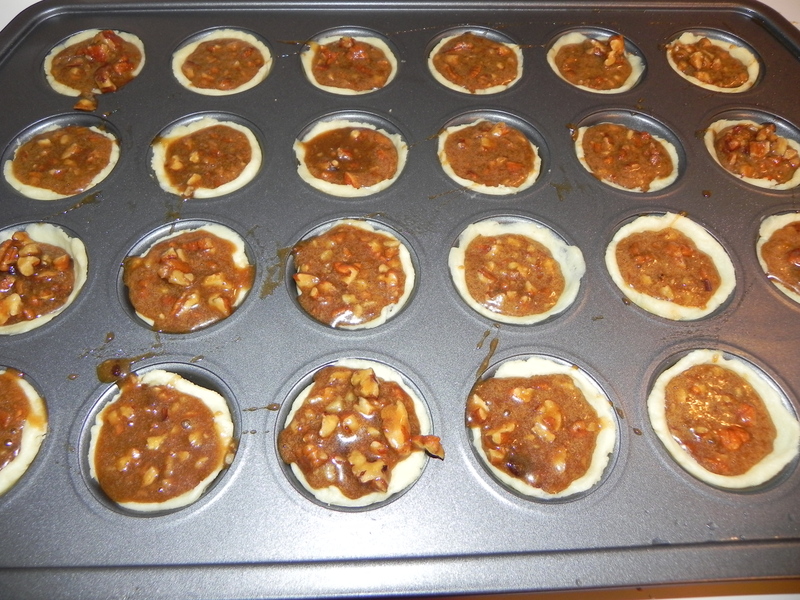 Turn the cookies face down on parchment paper for about 30 minutes to set. Turn them over and allow to completely dry. Embellish the cookies with piping and sprinkles as desired. 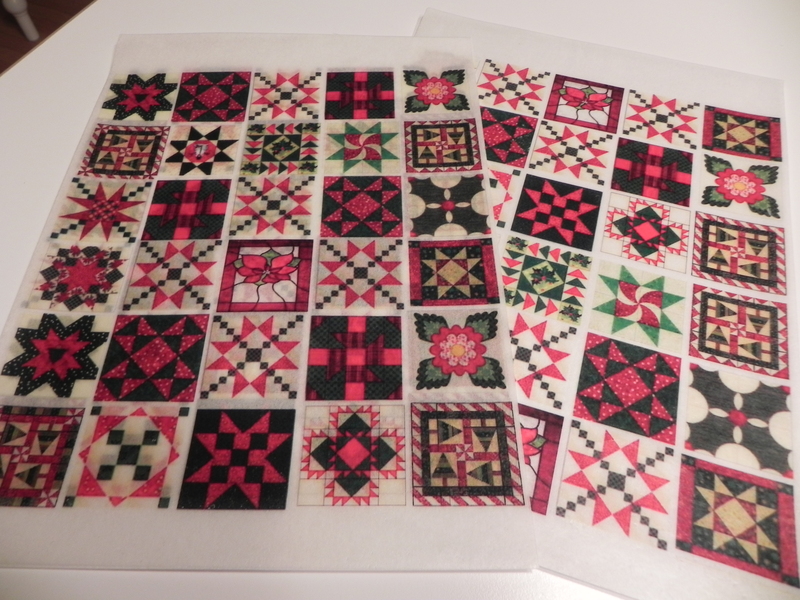 The paper is somewhat fragile and requires careful handling but easy enough that I will try them again. My cookies look a bit sloppy, but with a little more patience, next time they could be quite beautiful. Cookies are one of my go-to treats, and I love homemade ones best of all. 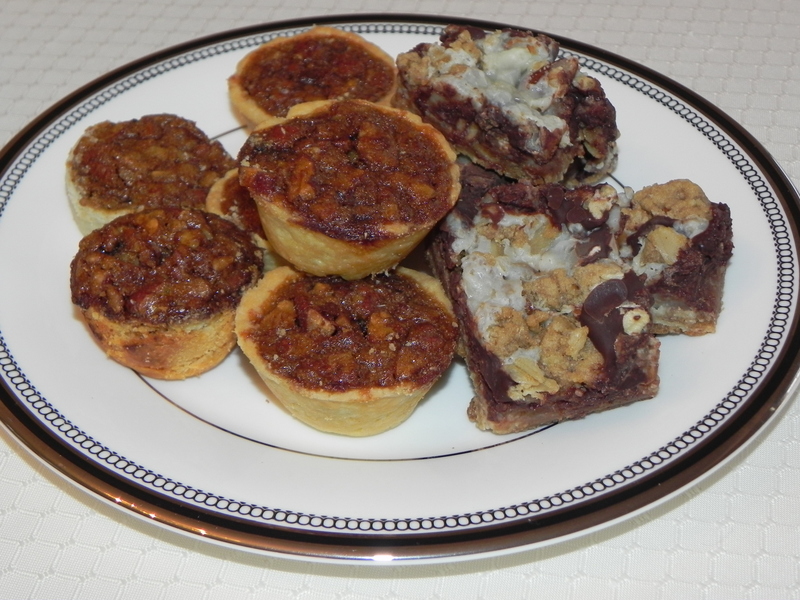 Each year I try one or two new recipes, but there are a few I’ve baked for decades. 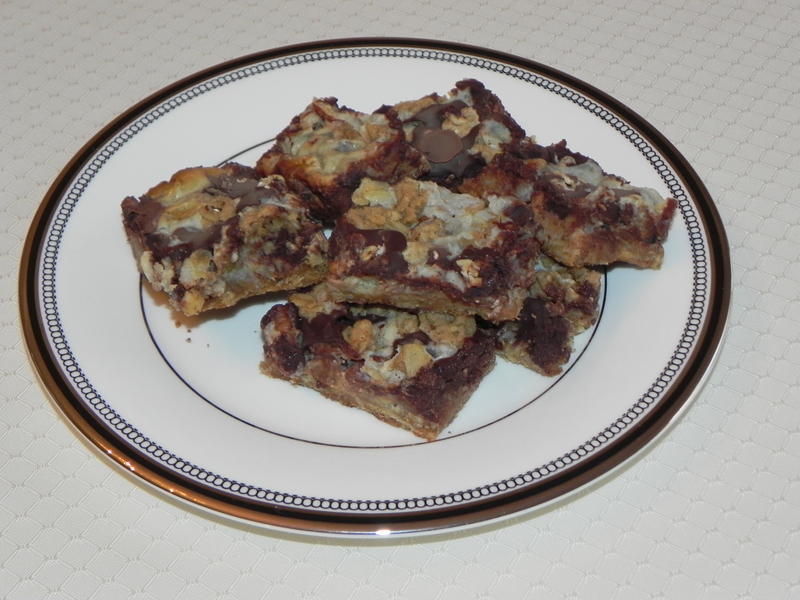 Pecanettes and Chocolate and Oat Bars are two of my tried-and-true old-time favorites. The Chocolate and Oat Bars are so healthy you can eat them for breakfast. At least that’s my story. The recipe calls for oatmeal, nuts, and (condensed) milk, so how can that be bad for you? And then you add the chocolate, which we know is a “happy” ingredient. MMMMM, good. Cream butter and cheese with mixer until light and fluffy. Add flour and beat until blended. Spoon about 1 teaspoon of the mixture in each of 2, 24 miniature cupcake pans. Press around. Mix filling and spoon into each shell. Bake 350 for 18-20 minutes. Preheat oven to 350 (325 for glass dish). In a bowl, combine flour, oats, brown sugar, and butter. Mix well. Reserve ½ cup. 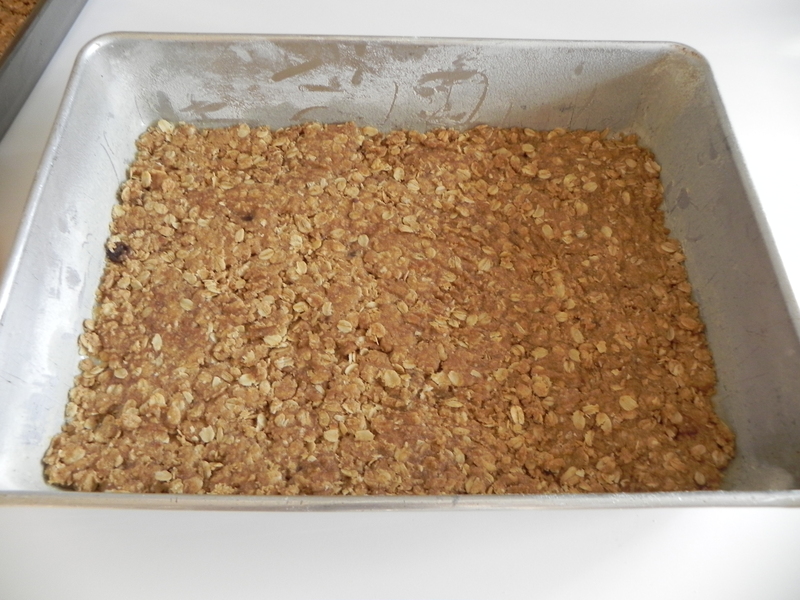 Press remaining oat mixture in the bottom of a 13 X 9 inch baking pan. Bake 10 minutes. Pour Eagle Brand Milk evenly over crust. 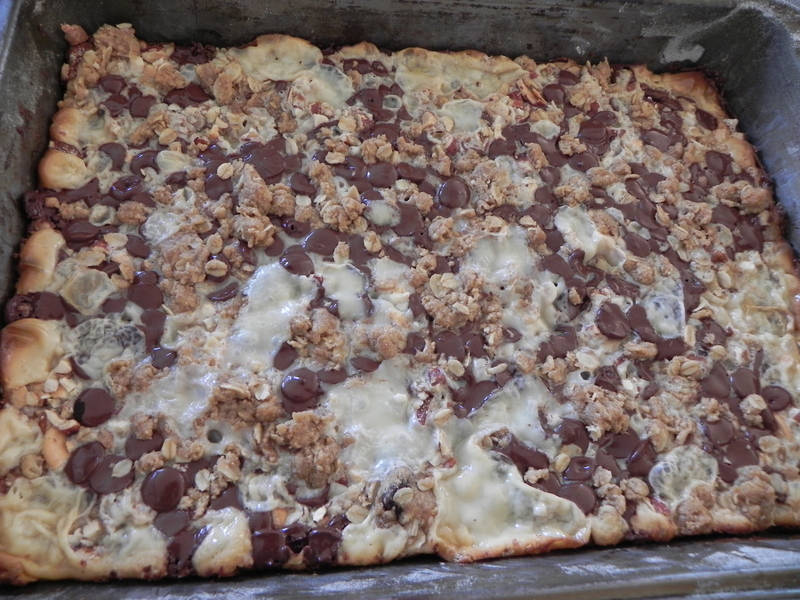 Sprinkle with nuts and chocolate chips. Top with remaining oat mixture; press down. Bake 25 to 30 minutes or until lightly browned. Cool. Store covered at room temperature. Gobble, gobble up any of that leftover turkey today. According to the University of Illinois extension, cooked turkey is only good three to four days, so this is it. Turkey is such a bargain for families. The meat is relatively inexpensive, low in fat and higher in protein than chicken or beef, and can be prepared in countless ways. Use your leftover turkey plain or in casseroles, chili, soup, quiches, or on sandwiches. Grind it for use in turkey burgers, breakfast patties, or tacos. Or make my husband’s favorite, pot pie. For a quick pot pie, use a prepared pie crust in a tin. Cut up the turkey and spread across the bottom. 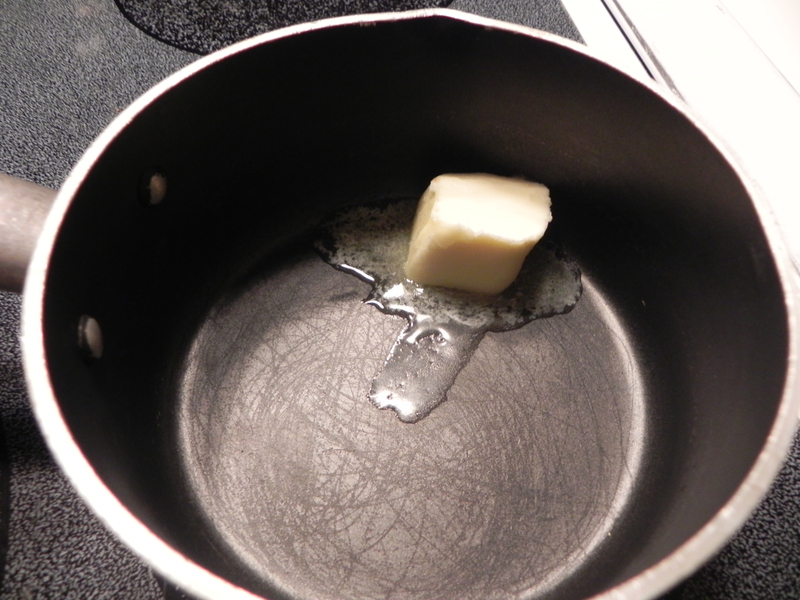 In a small saucepan, sauté half of a chopped onion in two tablespoons of melted butter. Cook until translucent. Mix one teaspoon of cornstarch in a cup of cold water. Slowly add half of this to the onion. Add about ½ cup of milk. Stir until the sauce begins to thicken, and add more of the cornstarch liquid until desired consistency. Add ½ teaspoon of chicken or turkey soup base, pepper, and a little garlic. Stir in about one cup of frozen peas or leftover vegetables. Cook slightly. Pour over the turkey. Spread leftover mashed potatoes on top and sprinkle with parmesan cheese. Bake at 350 until light brown. You can see by this recipe that I’m rarely exact with measurements. I consider myself a good family cook, using what I have in the house and seasoning to taste. There are times I’m asked for a recipe and can’t give it because I really don’t know what I did and it varies every time I make even the same dish. Don’t be afraid to do this with your leftovers. Redesigning the meal offers your family a new dinner rather than regular leftovers and values the time, money, and energy originally invested in the food. Barbecued chicken and pork taste oh-so-much-better basted in sauce. But the biggest dilemma is in choosing which one to buy. Stores give serious shelf space to the endless varieties available, and yet, I haven’t found one I really like. 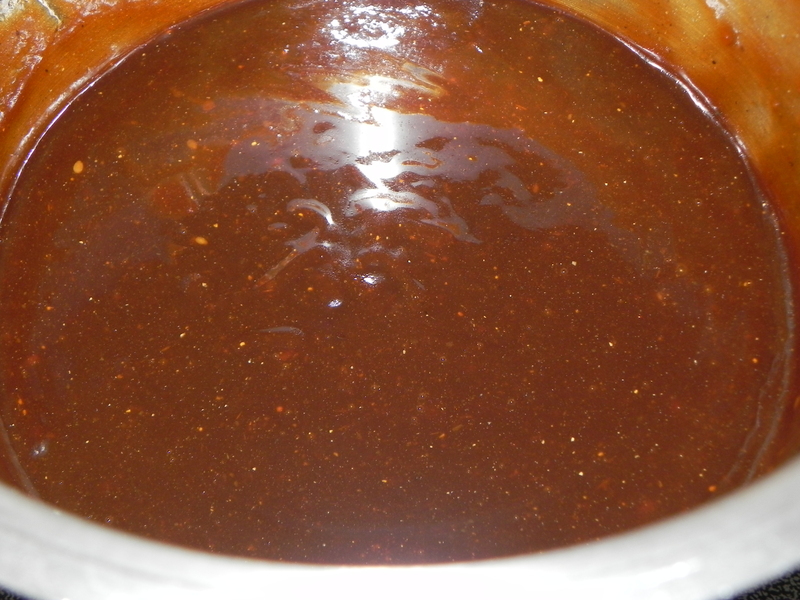 I make my own barbecue sauce. It’s quick and easy to prepare and I can get it as sweet, tangy, smoky, or spicy as I want. Following is a basic sauce that starts with ketchup. Adjust it to your taste. Consider adding other ingredients such as onion, garlic, finely chopped peppers, cayenne pepper, smoked paprika, hickory smoked salt, celery seed, mustard, or jam. 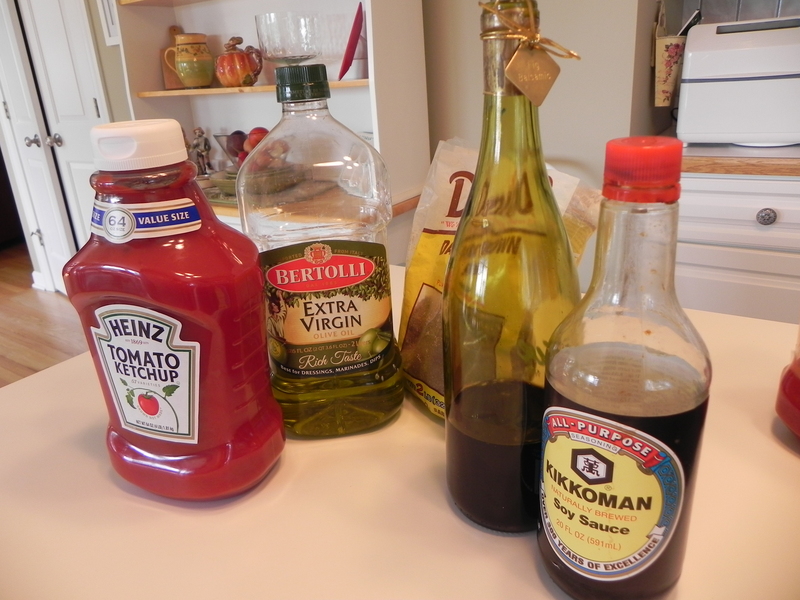 You also can add other sauces from your refrigerator including a little salad dressing, sweet and sour sauce, Hoisin Sauce, Worcestershire, or steak sauce. Try making some barbecue sauce yourself. You’ll be surprised how good and easy it really is. Combine all ingredients in a saucepan and simmer for about 15-20 minutes. For a thicker sauce, continue cooking until desired consistency. When I was 12 years-old, I won 1st place in a cherry pie baking contest at my school that was sponsored by Northern Illinois Gas Company. I went on to a second bake-off to compete against the winners from other schools in the Chicago area. In that contest my pie won 4th Place – my essay won 1st. I baked a pie just about every day the weeks prior to each contest. I’m thankful my parents allowed me to do that because I’m sure it was difficult for them to afford the ingredients. But that practice actually was an investment in mastering the skill of pie baking. Making the crust in particular can be intimidating for even adult bakers. Learning how to do that at a young age has allowed me to whip up meat and fruit pies all my life. I wanted to share that ability with my six-year-old granddaughter. Kaylee is my son-in-law Steve’s daughter from a previous marriage, and I treasure the time I have with her when she is in town. She is smart, compassionate, and delightful and one of my favorite young ladies. We decided on baking the pies in individual pans, and I was especially happy she chose to make cherry. While we baked we discussed safe food handling, the importance of each ingredient, and of course, the steps in making the pies. We also talked about our daily thoughts and concerns. 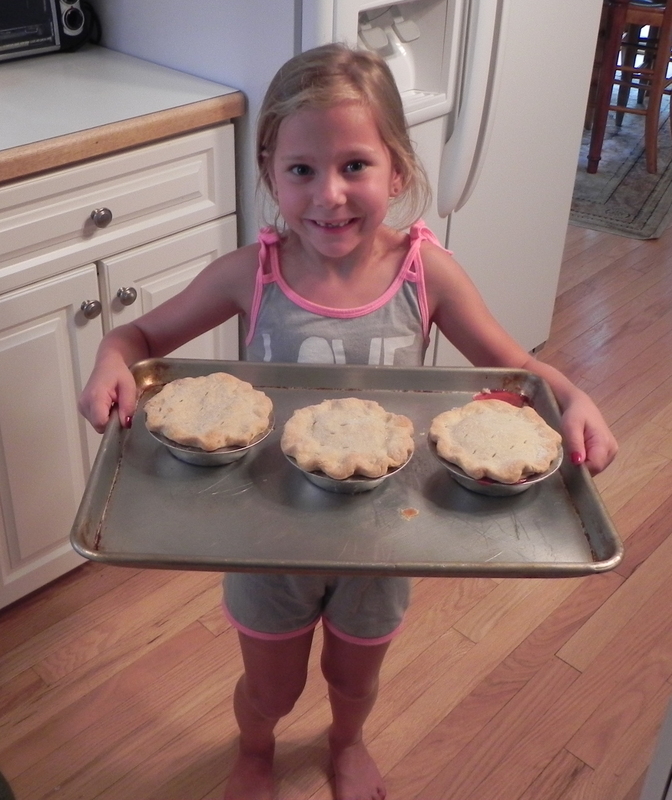 Kaylee is a quick learner and did an excellent job of measuring, cooking the filling, rolling out the dough, and sealing the pies. The end result was perfect. Kaylee’s pies were as beautiful as they were delicious. It’s never too early to introduce children to cooking and baking. The benefits are many. Young chefs learn to appreciate the time and money involved in food preparation. They are more eager to try foods they prepare. They also learn not be intimidated to cook later in life. Best of all, we gain priceless time with them to exchange ideas and what weighs heavy on our minds. I thoroughly enjoyed the conversation Kaylee and I shared while baking. It’s a memory we both appreciate. I. Drain cherries. Combine juice from one can, sugar, and cornstarch in a saucepan. Cook till thick and clear. Remove pan from burner. Add butter, almond extract, and cherries. Cool. II. Mix flour and salt. Cut in the fat until the size of peas. Sprinkle ice water onto the flour mixture. Carefully add a little more water if needed. 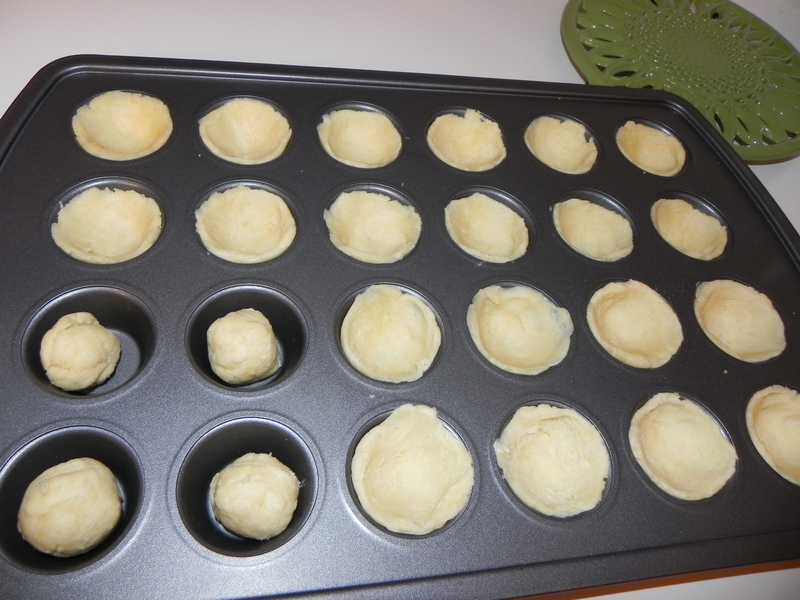 Gently form the dough into a ball. Cut the ball in half. Roll out one half of the dough about 1 inch larger than the inverted pie pan for the bottom crust. Prick the crust and lay it in the pie pan. Pour the filling into the pie pan. Roll out the top crust. Slit in the center. Dampen the edges of the bottom crust. Lay the top crust over the pie and seal. Bake pie in 450 oven for 10 minutes. Reduce heat to 350. Bake about 30 more minutes. Want to make creamy sauces, soups, and gravies? Start with a roux. The thickening agent, pronounced rῡ, is made from equal parts of all-purpose flour and a fat such as butter, oil, or meat drippings. 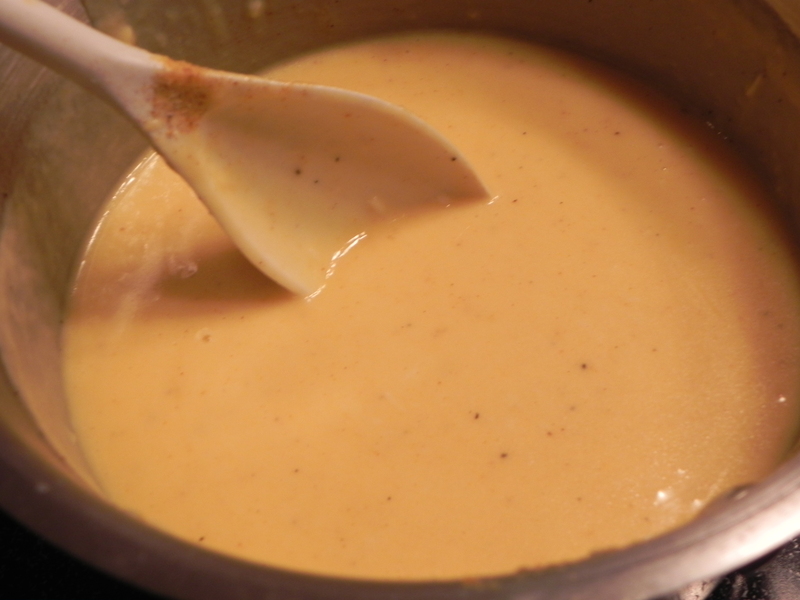 The mixture is the basis of a number of smooth, creamy sauces. 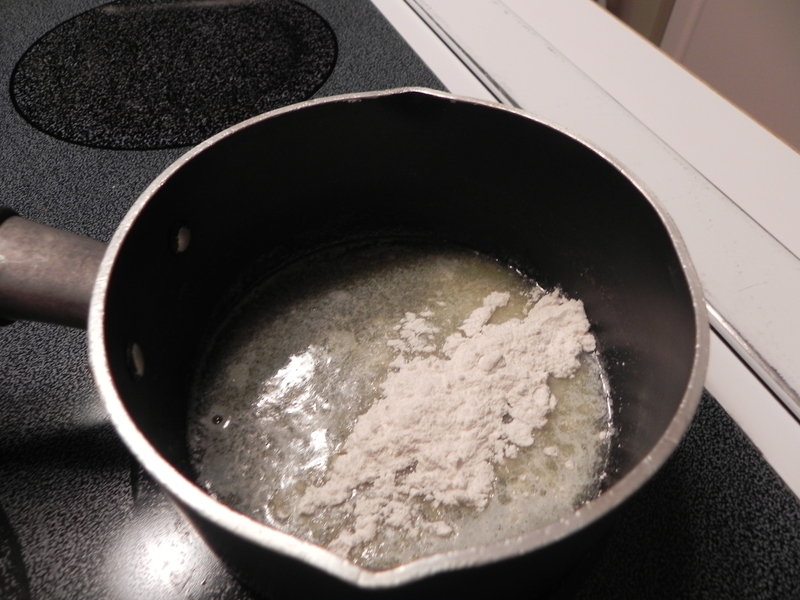 Melt or warm your choice of fat in a saucepan and stir in the flour. It’s simple enough. The trick is in stirring until blended and continuing to do so as you add more milk, water, or broth. 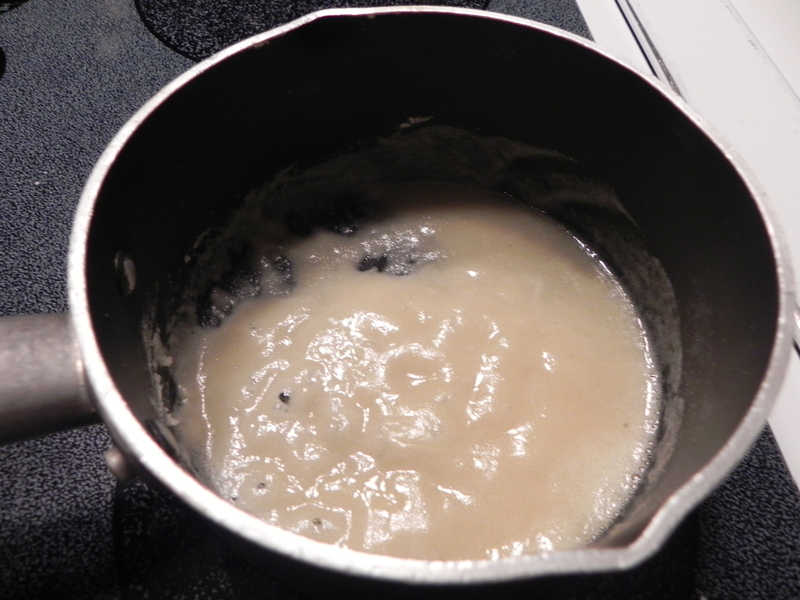 If your roux mixture gets lumpy, either mash the lumps or drain or scoop them out. More meat drippings or a soup base, seasonings, and milk or water for gravy in stew. Milk, sugar, and vanilla and cook until thickened for a sweet sauce over bread pudding, strudel, or other desserts. My daughter-in-law cannot have wheat, so I make the roux with rice flour when she is in town. The texture is slightly different but not bad. You also can skip the roux altogether and thicken with cornstarch for a clear sauce. With a little thought and creativity, leftovers are often more flavorful than the original meal. Purchasing a slightly larger ham, turkey, or roast with leftovers in mind can save money and time on future meals. The key is to incorporate leftovers into tasty dishes that do not take long to prepare or create leftover-leftovers. 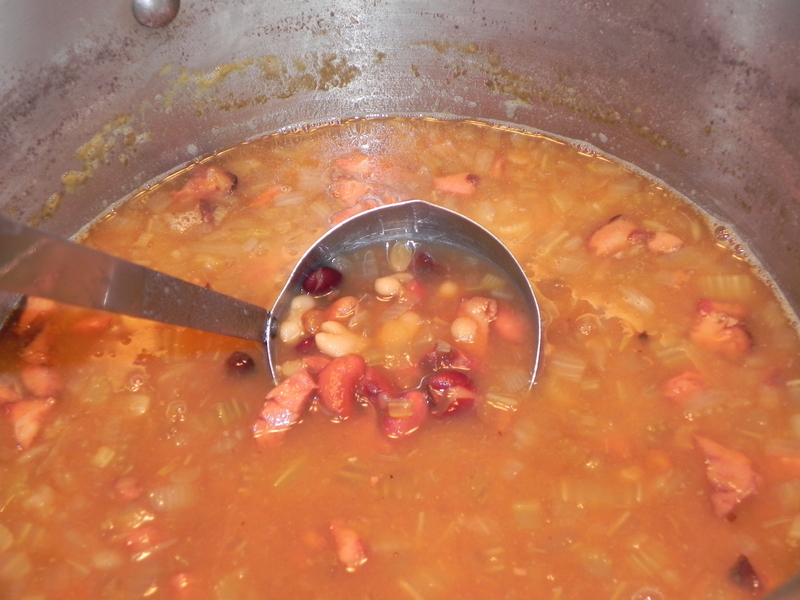 Soups are great options for turning one night’s dinner into something very different the following day. Midwesterners love soups because they are easy to make, smell wonderfully simmering on the stove, and offer a hearty, healthy, hot meal to warm the body and spirit. 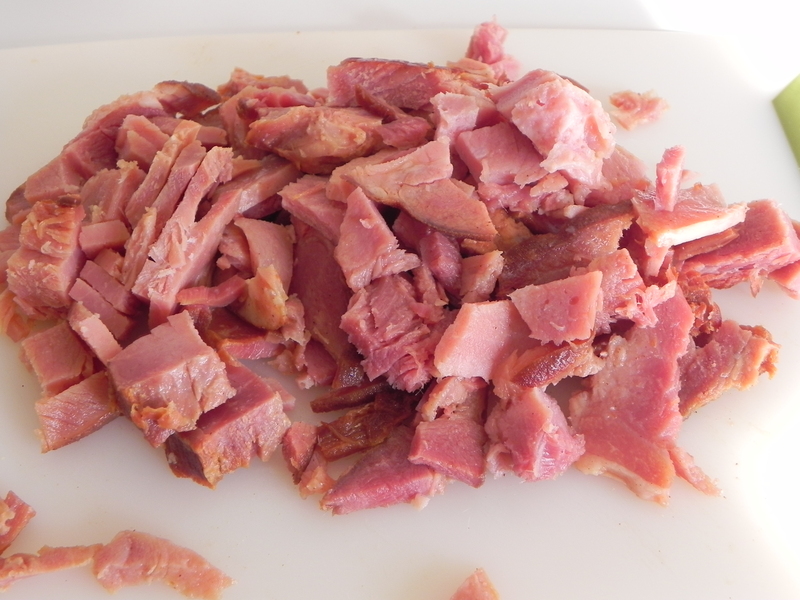 Here are some suggestions for leftover ham, in addition to serving the meat plain with side dishes or in a sandwich. Also following are a couple of recipes. 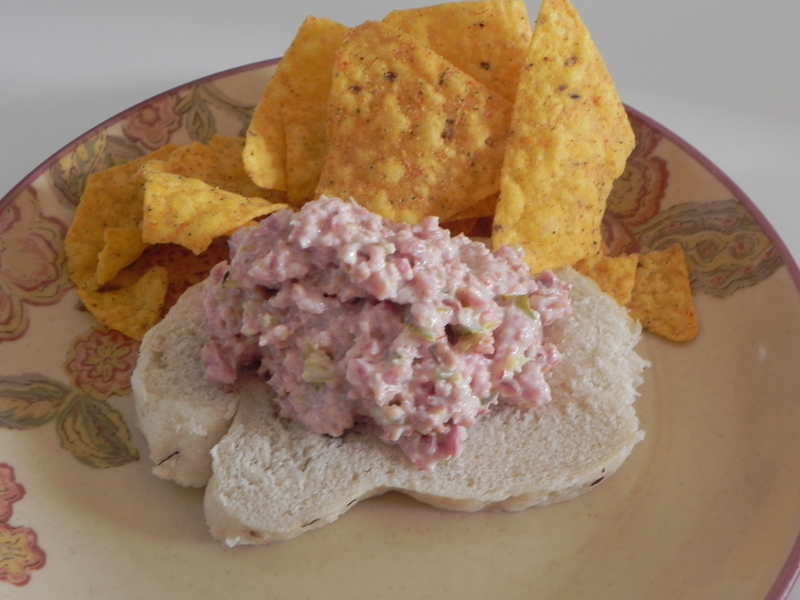 Chop ham in a food processor. 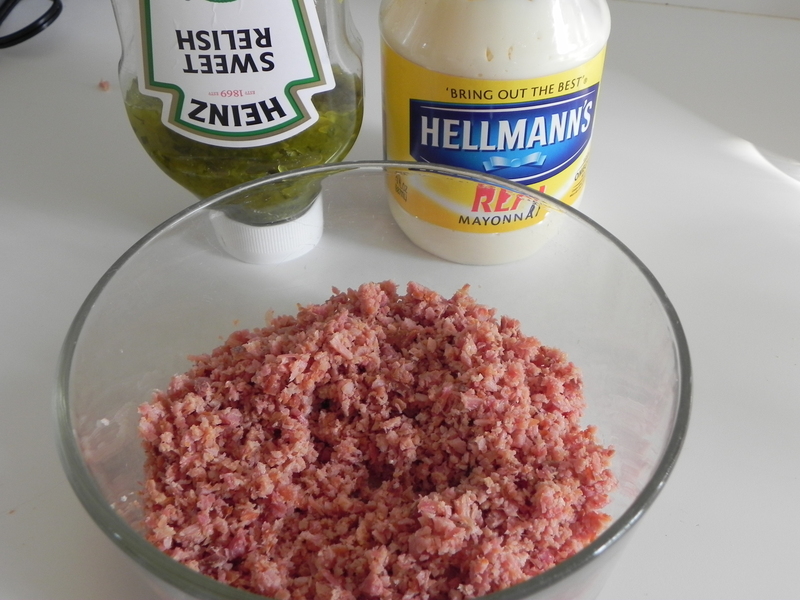 Mix in mayonnaise and relish. Pour the beans into a 5 quart saucepan. Check for debris. Rinse the beans. Add the celery, onion, and ham. Fill most of the pot with water. Add the garlic, bay leaves, and small amounts of salt and pepper. Taste periodically before adding more salt. Simmer two to three hours. My French Canadian daughter-in-law, Ellie, once told me that she thought it was amazing that Americans across the country take one day every year to sit down with family to the same traditional meal. 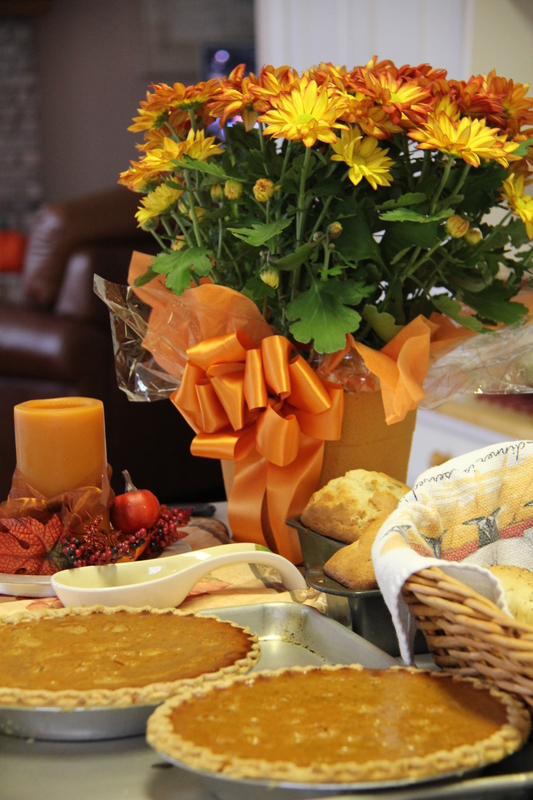 We may put our own twist on the menu, or add a cultural dish such as pasta or egg rolls, but most of us enjoy turkey, dressing, and sweet potatoes with pumpkin pie for dessert on Thanksgiving Day. The only other holiday that is this close in tradition is Independence Day when hot dogs and hamburgers are the main meal of choice. On Thanksgiving we also take a moment to acknowledge our many blessings. No matter how difficult your life is right now, most likely you also have much for which to be thankful. My own list is very long this year. May your Thanksgiving be fun and peaceful surrounded by people you love and a hearty, tasty dinner. The following is my recipe for mashed sweet potatoes. 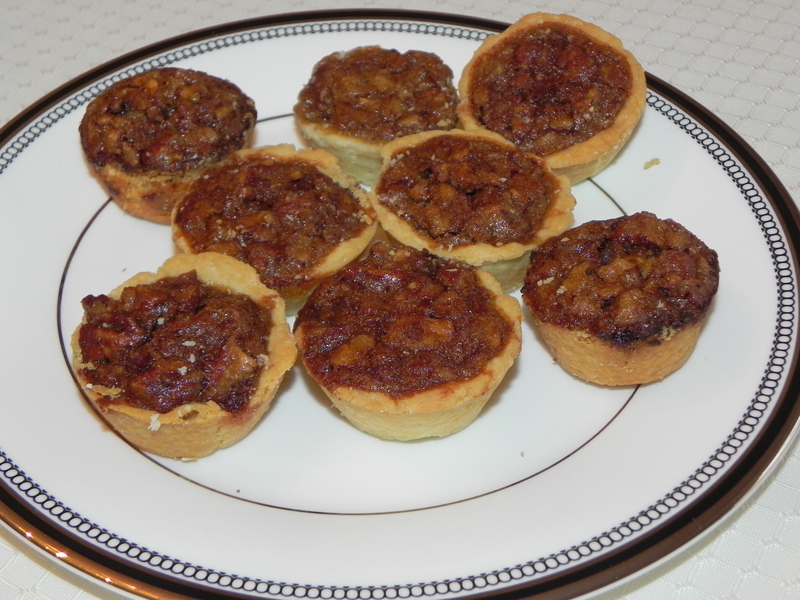 I don’t measure the ingredients so it is best to add sugar and spices in small amounts, tasting often. Wash potatoes. Cook in microwave until tender. Cool. Scoop the potato out of their skins and into a mixing bowl. With an electric mixer, beat until smooth. Add margarine/butter, brown sugar, and spices. Place potato mixture into a greased baking dish. Bake at 350 degrees until heated through, about 30 minutes. 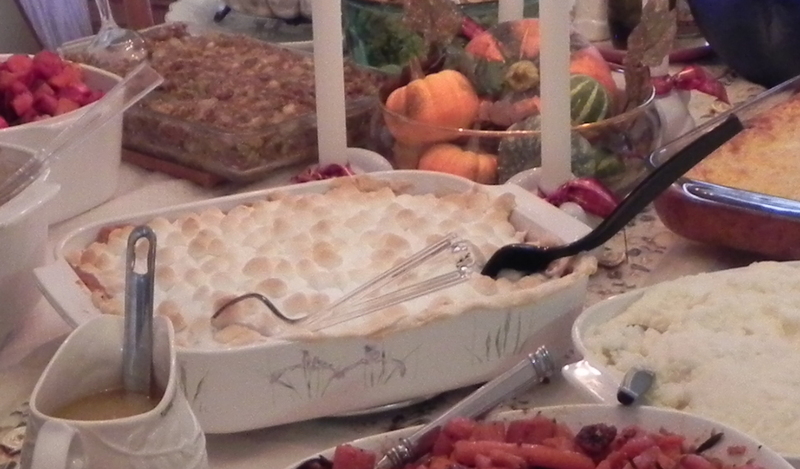 Add mini marshmallows and put the baking dish back in the oven until the marshmallows are brown. Allow to cool a few minutes. Caution: The marshmallows become very hot. ©Mary K. Doyle and Midwest Mary, 2013. Unauthorized use and/or duplication of this material without express and written permission from this blog’s author and owner is strictly prohibited. Excerpts and links may be used, provided that full and clear credit is given to Mary K. Doyle and Midwest Mary (midwestmary.com) with appropriate and specific direction to the original content.